Liberia’s Young Personality of the Month of August 2017 is Ms. Satta F. Sheriff. Satta is a Staunch Child Rights Advocate and Award-Winning influential Teenager in Liberia. Started her advocacy for children as far back at age 9 at which time she vouched to improve the living conditions of children rights in Liberia. To promote her ambition and keep her advocacy candle lights burning, Satta established #Youth In Action for Peace and Empowerment, a child and youth driven Charity NGO, where she serves as its Executive Director. Satta served as the First Female Speaker of the Liberian Children’s Parliament (now, the Liberian Children’s Forum) and in 2016, Satta was the Youngest Speaker at Liberia first ever TEDx Event organized by ILab Liberia and partners. Satta's work has inspired girls and women in Liberia and Africa at large. She serves as the face of true and persistent in youth advocacy in Liberia. 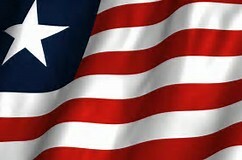 Satta delicately organizes rallies, sit in actions, and petition ceremonies, press conferences and symposiums to petition Lawmakers at the House of Parliament (National Legislature of Liberia). She fights for the rights of children which hold government officials accountable to their responsibilities to children. With career journey, Satta has also served as an Advocacy Lead for the #Be an Agent of Change Program (BCAP) Project funded by UNICEF (SHALOM & Samaritan Purse), where she Advocated for the rights of Adolescent girls in Liberia. With educational pedigrees, Satta study Economics at the Stella Maris Polytechnic and ICT at the Blue Crest University College. During the heats of Ebola in 2014, Satta became a Champion for Children’s Rights in West Africa by caring and saving lives through campaign awareness and through her popular Radio Talk Show called #Kid and U. During those difficult days, Satta also developed a health promotional project titled #Your Support, Our Future; a project designed and solicited supports from donors for the well-being of thousands of orphans affected by the Ebola Virus. Satta has toured tall with higher height in the areas of professional and capacity development and has also been recognized with tons of local and global accolades. Satta graduated with a certificate in Information technology from the Information Generation Technology Solution (IGTS) School. In 2016, Satta represented the Children and Girls of Liberia at the United Nations Headquarters in New York, United States of America. Satta is an Alumina of the Young Political Leadership School (YPLS) operated by NAYMOTE Liberia As a child in 2015, Satta served as the youngest County Coordinator for the NAYMOTE "I am on the Bus project" to educate Liberians on electoral violence and the then constitutional review process. With all of her advocacy records, Satta is the 2016 Most Valuable player of the Inter high School debate Competition and former captain of the St. Peter's Lutheran Debate Team. Satta Sheriff is a United Nations Youth Assembly Fellow. At 18, Satta has become a national and international advocate for not only Children and girls but a Sharpe voice for change in Africa and the International community. Satta was named among 50 young impacting females in Africa by One World.